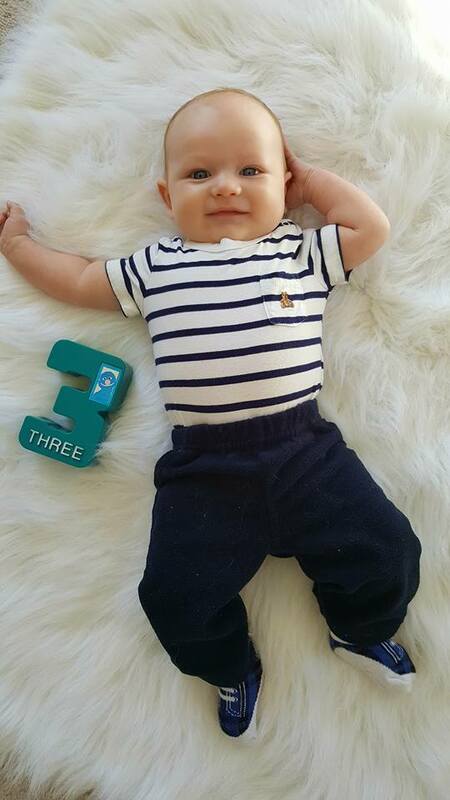 I’m trying not to think about the fact that this little dude is an entire three months old as of Saturday because it kind of makes me want to cry. It’s unfair just how short the newborn stage is. One day you’re snuggling your itty, bitty brand new baby and then BAM; you’re struggling to carry your three month little chunker around in his car seat. Eli really has been a dream baby though. I mean yes, he does fuss a lot usually in the evenings but for the most part he is a pretty content little guy. 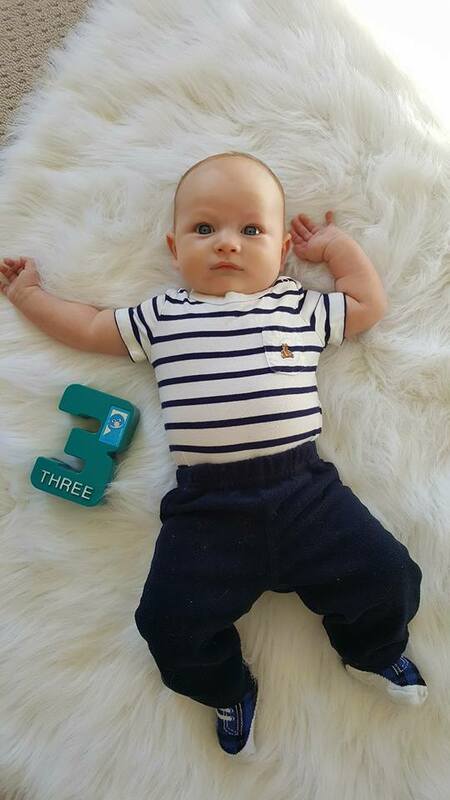 I wouldn’t say it’s been night and day difference between him and Nate but Nate was definitely harder to handle in his first three months of life. I mean, I was also a first time mom and adjusting to that with a colicky baby would make anyone crazy and even though there have been times with Eli that I’ve thought I couldn’t handle any more of his crying; I have found that I’m more relaxed this time around. 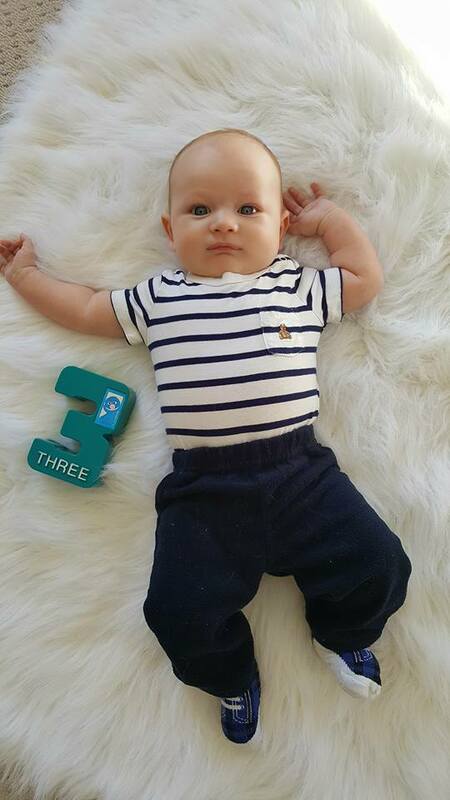 So what’s Eli like now at three months old? Well….